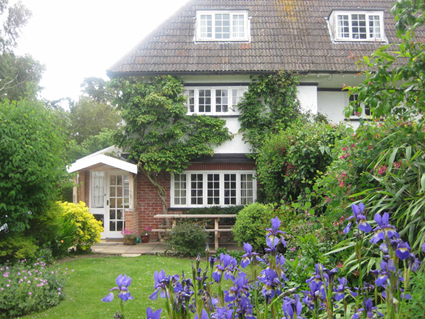 New Forest Cottage Holidays always provides a lovely warm welcome at your charming, traditional country cottage in the delightful New Forest village of Burley. Full of character, comfortable and well equipped, our New Forest Cottage Holidays accommodation is perfectly located within walking distance of Burley village centre. 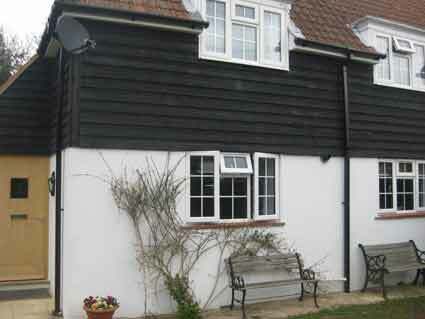 Oakapple and Foxglove cottages are just a 2-3 minute walk from each other. Ideal for couples, three generation families, friends and larger groups. Burley has much to offer you with golf and cycle hire, local shopping, pubs with restaurants and tearooms. Surrounded by miles of open forest it is a dream for walkers, cyclists and birdwatchers or maybe just relax in the cottage gardens, have a BBQ and enjoy your complimentary bottle of wine!. Attractions in the area include Paultons Park with its unique Peppa Pig World, Beaulieu Motor Museum, Exbury Gardens, Moors Valley Country Park and further afield to the west, the Jurassic coast, to the north Salisbury and Stonehenge, the east Portsmouth and the Dockyards and finally the Isle of Wight to the south. Whether an annual family holiday, a short well-earned break or a get together with friends or relations your cottage will provide you with a wonderful base to explore and discover the local area. New Forest Cottage Holidays accommodation is available all year round so you can appreciate the beauty of the changing seasons in the New Forest.